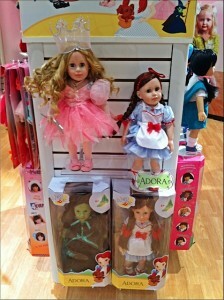 While at Toy Fair this year I was introduced to a new doll company – Adora. Before I became a mom I collected porcelain dolls, which I had hoped to hand down to a daughter some day. Now, with two boys, my doll collection is packed away for safe keeping but I still like to see what babes are being introduced. Adora, creators of beautiful vinyl dolls, has some really sweet babies for both collectors and little ones who want to play. Their Playtime Doll has even been spotted on ABC’s hit show Modern Family as the friend of choice for Lily, adopted daughter of Cameron and Mitchell. The 12″ doll, which is perfect for kids 12 months+ comes in 5 ethnically diverse skin tone and eye combinations. They have lifelike features; Silky-Smooth body and a bean-bag weighted bottom make them perfect for cuddling. The original sculpted faces have features like a real baby and the tiny hands and feet have the chubby features kids will love. All Adora dolls are lightly scented with a fresh baby powder scent. One for the most popular features is that the dolls and accessories can even be machine washed. 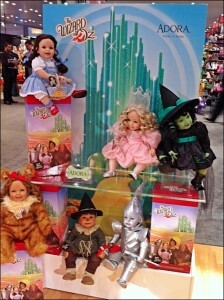 One collection that caught my eye was The Wizard of Oz. Available in 18″ and 20″ designs, these beautiful dolls are all designed to resemble the famous characters from the famous movie. I also loved their Girl Scout collection. 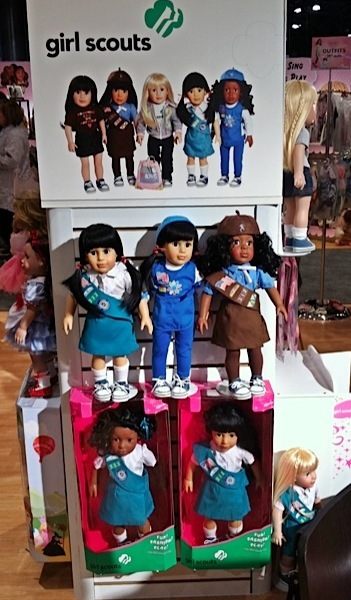 Just in time for the leadership development organization for girls’ 100 year anniversary Chrisma Brands, Adora’s parent company, has created with 5 – 18″ dolls in 3 different outfits (Brownies, Girl Scout Jr., and Girl Scout). For generations, Girl Scouts have acquired courage, confidence and character for success in the real world. Now, for the first time, developed under a license agreement with Girl Scouts of the USA, Adora brings us a collection of five vinyl play dolls in a range of diverse ethnicities, each wearing a Girl Scout outfit. Whether you are looking for something sweet to sit in your showcase or a first doll for your daughter or relative, Adora has something for everyone of all ages.